Completely revised and enlarged based on the recent Fourth Edition of Webster's New World College Dictionary, this perennial bestseller now includes more than 37,000 entries. Clear, concise definitions instantly provide reliable information about thousands of terms and meanings in every area of contemporary language. 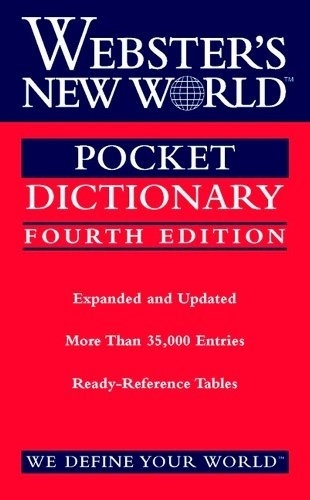 Updated reference supplements make this the most readable and useful pocket dictionary available today.